A truly refined gift for a true gentleman. 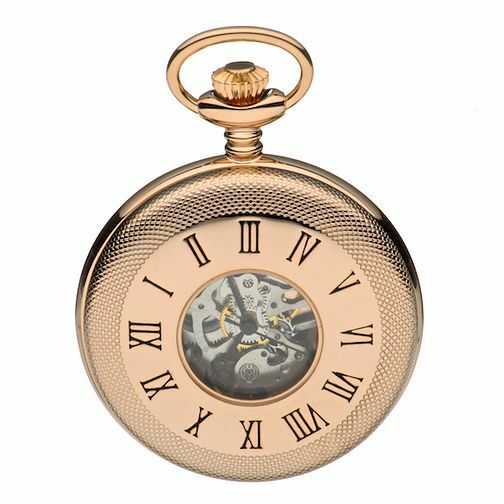 Beautifully crafted with the inner workings displayed, this elegant pocket watch has a chain that features a useful clip. Men's Rose Gold Plated Skeleton Pocket Watch is rated 4.0 out of 5 by 1.